The Ocean Inn provides affordable, Antiguan, bed & breakfast accommodation in an area surrounded by beauty, charm and tropical elegance. 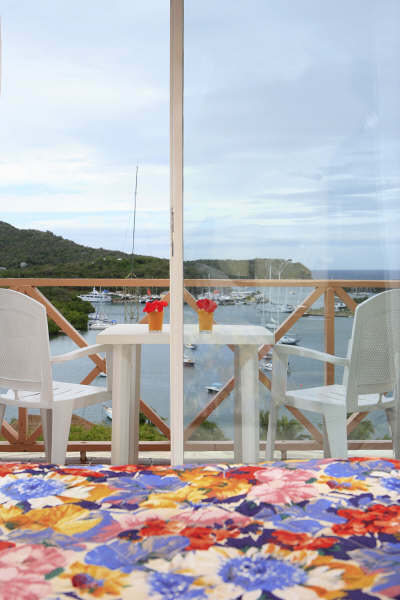 Perfect for crews, couples or the single traveler, a five minute walk away from your cottage or room takes you down to the heart of English Harbour to its sailing activities, modern marinas and the gateway to venture into and around Antigua. The area offers many restaurants, shops, sailing, snorkeling, diving, tennis, horseback-riding, deep sea fishing, and two of Antigua’s finest beaches. You won’t regret selecting The Ocean Inn as your temporary home. 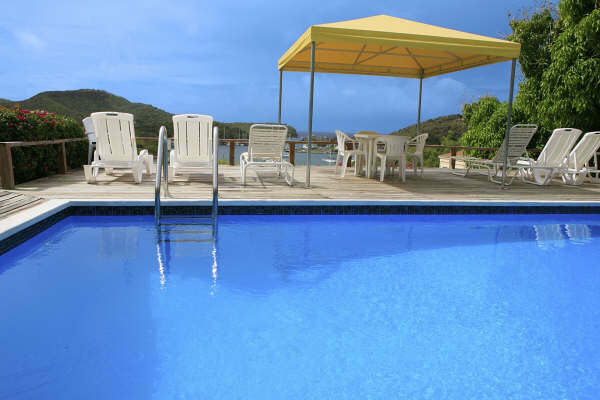 This small Antiguan family owned and managed hotel offers 11 unique bedrooms perched on the hillside with stunning views of Ordinance Bay. Take your pick from 1 Master Cottage with small kitchenette, 4 detached cottages, 2 Ocean View Rooms, 2 Budget Rooms and 2 Ocean View Budget rooms. However, it doesn’t matter which you room you choose, you may just decide to spend the days lounging by our pool sipping on the best drink you ever had. Our Tree Trunk Honesty Bar serves up the best drinks because you make them just the way you like and as often as you like. Simply write down what you take and we’ll take care of the rest. The Ocean Inn truly believes in giving our visitors the personal care and attention that you can only find in a small Antiguan hotel. A visit with us is a personal experience which we ensure is tailored exactly to your requirements.